As Rintaro arrives back in the beta world line, where Amadeus' takeover has been prevented, he discovers Mayuri's friend Katsumi "Fubuki" Nakase, who was hospitalized after they both collapsed, has memories of the alpha world line he was just in. 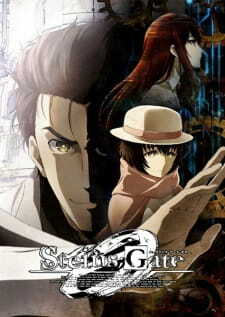 After arranging for Maho to stay with Faris after her hotel is burgled, Rintaro is questioned by Suzuha about the shift in world line, revealing that it was caused by time machine experiments by America and Russia. Fearing she is running out of time, Suzuha tries to force Rintaro to go back in time with her, but Daru convinces her to stop. Later, Tennouji informs Rintaro about an organisation known as DURPA, leading him to suspect that they may be targeting Amadeus in order to obtain Kurisu's time machine theory. Rintaro asks Maho if she possesses any of Kurisu's research, but she lies and keeps secret from him the fact she has Kurisu's personal laptop.